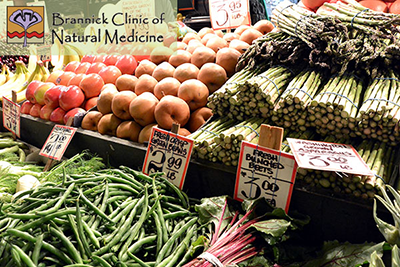 Our motto, at the Brannick Clinic of Natural Medicine, is: life is precious and we only have one life (as far as we know). We want to live our one life with vitality and to be able to experience the human experience fully. To be human is to feel all emotions. You can’t know happiness unless you have experienced sadness. You can’t feel proud unless you have experienced failure. Grief is the measure of how important others are to you. To be fully present to our emotions, we can’t be bogged down with poor health. Poor health robs you of doing things. By experiencing health, you are able to fully participate in life and can handle whatever comes your way. Life is not about being happy every moment, but to be in the present and to do what is reasonable and responsible. It is not reasonable and responsible to sabotage your health by eating donuts. If we treat our body with respect, like the temple it truly is, we nurture it—not damage it. I don’t know how we got so far off track with our priorities, but eating healthy—as much effort as it takes, is worth it! A healthy lifestyle is rewarded with energy and mental clarity—sadly only a few people experience today. We are used to living in poor health and have no idea how good health feels. When we get a glimpse of better health, we sabotage it because it feels different. I challenge you to eliminate these bad patterns, beginning today. It takes three weeks to change a pattern. The challenge is to avoid bringing any processed foods into your home. When the sugar craving hits—eat organic mango, apple, grapes or watermelon. Drink water whenever thirsty and even when you are not thirsty.